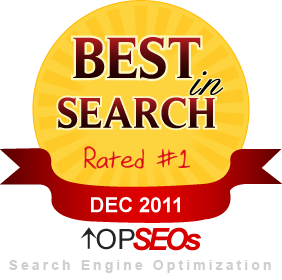 We at SEO Services Bangalore can help you extend the social media base with our tailor made SMO strategies and tools. Our team of experts goes beyond common social media practices to take client’s business presence to next level. We manage all your social media accounts on your behalf to get more liking, sharing, comments and following for all posts and engage the audience along with targeting the prospective one. We create the customized Social media profiles with share-worthy and informative content, engaging pictures, and videos that reflect your brand or services. Finally we integrate social media strategies and tactics with revenue-focused goals. A client gets fully supported social programs, video distribution, content planning, and blogger outreach to drive the new fans and boost the revenue. We integrate social media strategies with SEO Services in Bangalore to make SMO stronger, improve the visibility and enhance the search engine ranking. We help client get the business analytics, conversion tracking of brand’s reputation, regular reporting, and ROI analysis on every social media efforts. We find out how customers perceive the client’s business or brand. Like SEO services, various companies are at different levels with their social marketing optimization. We at SEO Services Bangalore has been the leaders in SMO and offers services to each and every client no matter what level their brand or business has on internet world. We develop different strategies and use various techniques for each client after analyzing their requirements. We not only create profiles on several social media channels such as Facebook, LinkedIn, Twitter, Pinterest, and etc but also manage their page and accounts with regular updates. In social media management services, our experts write SEO blog posts and publish them on various social networking sites to consistently engage the new customers. We have decades of experience in creating the exciting and usable content. We help clients to find out the most appropriate content and suitable platform to extend the presence of their web profiles at rapid rate. •	Create social media profiles or pages on facebook, LinkedIn, Twitter, YouTube, and other platforms to improve online brand visibility. We at SEO Company in Bangalore offer you the flavor of best in SMO and amplify your social media attendance on all famous social sites by updating eye-catching content for user. Each like on the content increase the numbers of websites link that works as backlinks to main site and popularize the brand on all social media outlets. We create the innovative strategies and futuristic tactics so that your business can successfully battle with strong competitors in market.